Your hair might not look damaged, but chances are it’s not the healthiest it could be. Every now and then, our hair needs some good old TLC to ensure that it is as shiny and strong as it can be. Prevention is always better than the cure! Over time, the products we use on a daily basis build up in our hair – imagine your hair is like a magnet, it attracts and clings to anything from leftover product residue, minerals and metals in our water and pollution from the air around us. This adds up to a lot of unnecessary stress being placed on your locks. With this in mind, it’s time to get detoxing! We take time to remove dirt and oil from the pores of our skin, but we hardly take the time to do this to our hair and scalp. 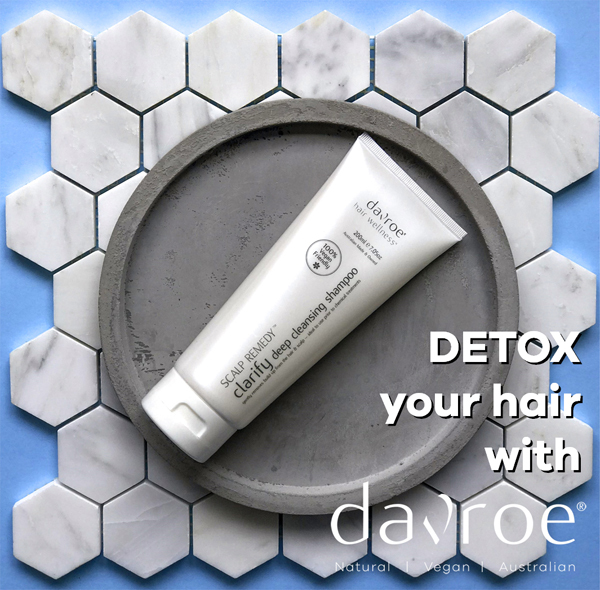 For this Detox, we recommend our Davroe Scalp Remedy Clarify Deep Cleansing Shampoo. This shampoo gently removes built up minerals, chlorine, styling products and excessive oil from the hair and scalp. It deeply cleanses your hair without stripping the natural oils and leaves it feeling soft and healthy. We recommend to use this once every 2 weeks as a detoxifier for all hair types, this will allow you to refresh and reset shampoo memory. This routine will allow you to continue to use your favourite Davroe shampoo and conditioner, without the need to unnecessarily change products. After a detox your hair is free of material build up and your clean scalp will be the key to healthier hair and growth.Once you’ve taken all those nasties out, you really need to give your hair a treatment to boost it in the right direction. We recommend using our Rebuilder Protein + Replenish Jojoba Oil Treamnet as a way to strengthen and add moisture and shine back to your hair. These treatments are our go to products to get your hair back on track. You are best to use these products together between shampooing and conditioning; leave them in for 5 – 20 minutes, depending on the state of your hair. 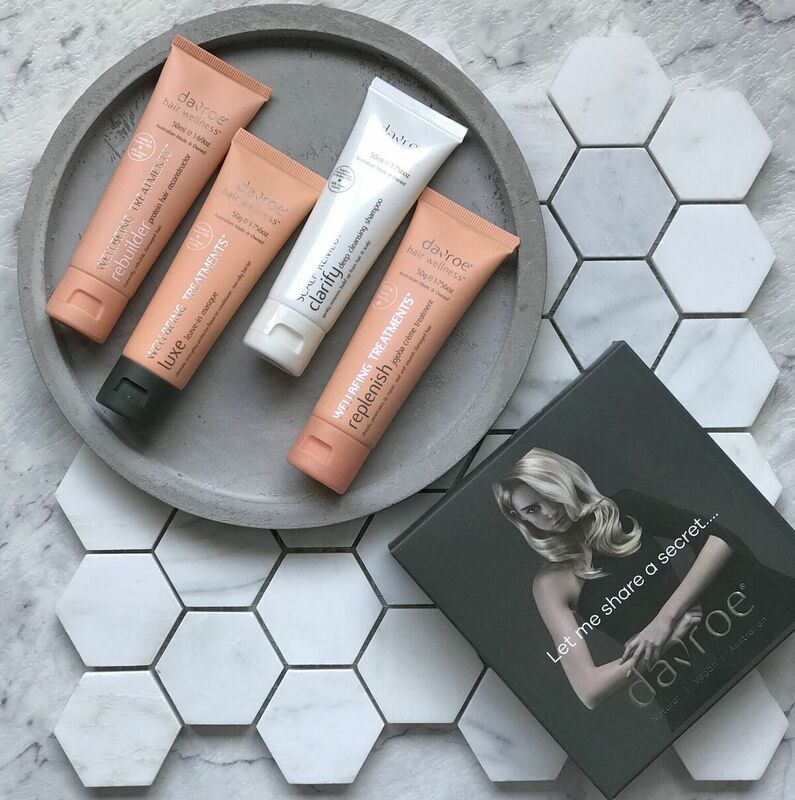 If you want to take it to the next level we suggest one of our most popular products – our Davroe Luxe Leave In Masque. This product will become your best friend, it creates a protective layer on your hair and reduces any environmental factors that could pose potential damage to it. These factors include damage from the sun, air pollution and even air conditioning, which can cause your hair to dry out. It’s a non-greasy cream that you can put through your hair any day of the week (wet or dry) – and will become your new handbag accessory! Our ‘Let Me Share a Secret’ pack contains all the products you’ll need to complete this detox in full, and you can purchase it Here.